Resource Directory | Mall Media Inc. 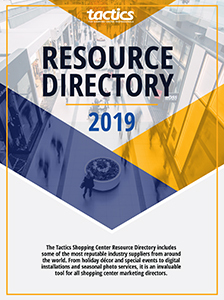 This annual Resource Directory includes some of the most reputable marketing suppliers from around the world. Covering specialties from holiday displays and special events to seasonal giveaways and mobile apps, it is an invaluable tool for all shopping center managers and marketing directors.